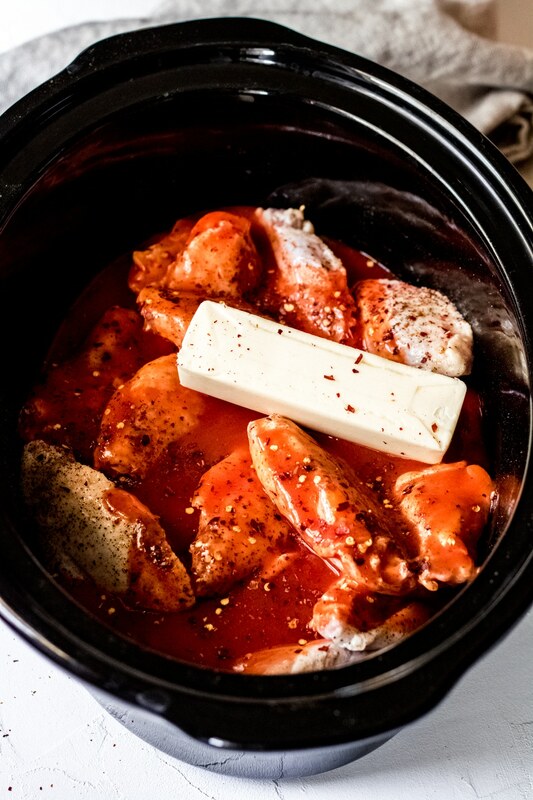 Sometimes you just need a set it and forget it dinner – like this crock pot chicken wings recipe. 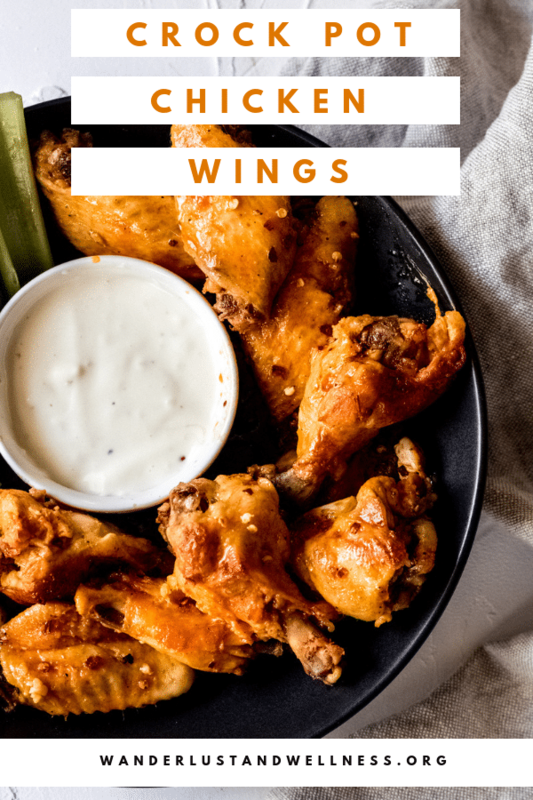 If you love wings like we do in our house, we’ve gathered up all of our chicken wing recipes into one spot just for you! 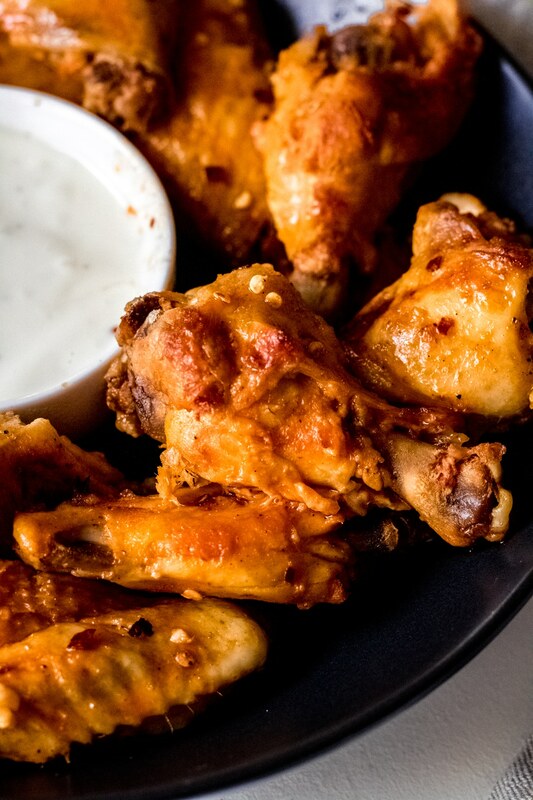 Don’t let the crock pot part of this wing recipe fool you – you’ll still end up with tender chicken wings with a nice crisp skin on the outside and just the right amount of wing sauce. 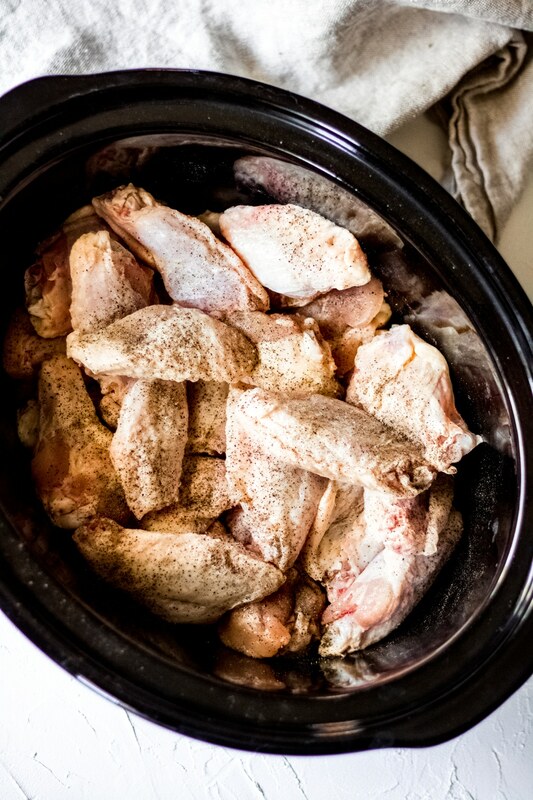 We’ll cover how to get your crock pot chicken wings nice and crispy in the steps below! When I first tested crock pot chicken wings I’ll admit, I was a little leary. I couldn’t imagine the wings having a crisp outside – which is how we like our wings. But, I assure you after a few test batches these wings are perfectly tender with just the right amount of sauce and crispiness on the outside. Let’s find out how! Time needed: 6 hours and 10 minutes. Place the fresh – not frozen – chicken wings into a crock pot and season with salt and pepper. Pour the wing sauce over the wings. Then season with the red pepper flakes, and lastly add the stick of butter. Cook the wings on low for 6 hours or high for 3 hours. 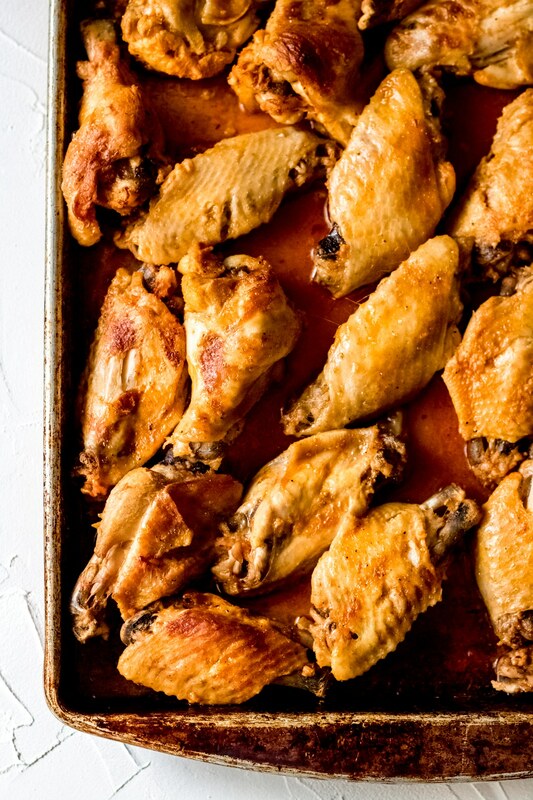 Remove the wings from the crock pot and place onto a baking sheet. Once the wings have finished cooking in the crock pot you can see that there’s not much crispiness to the skin and the sauce doesn’t really stick to them. The last step is to remove the wings from the crock pot and place them onto a baking sheet. Then, pour about 1 – 1 1/2 cups of the wing sauce from the crock pot over the wings and place them under the broiler for about 10 minutes. Broil the wings for about 10 minutes. Place the pan of wings into the oven under the broiler and let broil for about 10 minutes. As they broil you’re going to want to keep an eye on them – checking them every 3-4 minutes to make sure they’re not burning. When you check – use a basting brush to continually baste the sauce onto the wings. The wings will be done when the sauce has ‘charred’ a bit and the outside is now crispy. With chicken, color does not indicate doneness because even fully cooked poultry can sometimes show a pinkish tinge in the meat and juices. It’s best to check the internal temperature and ensure it’s a safe 165 degrees F. With this recipe you should check the temperature after you’ve broiled them. How do you know chicken wings are done? You can test the wings with an instant-read thermometer to make sure they’ve reached 165 degrees F.
Is it safe to reheat chicken wings? 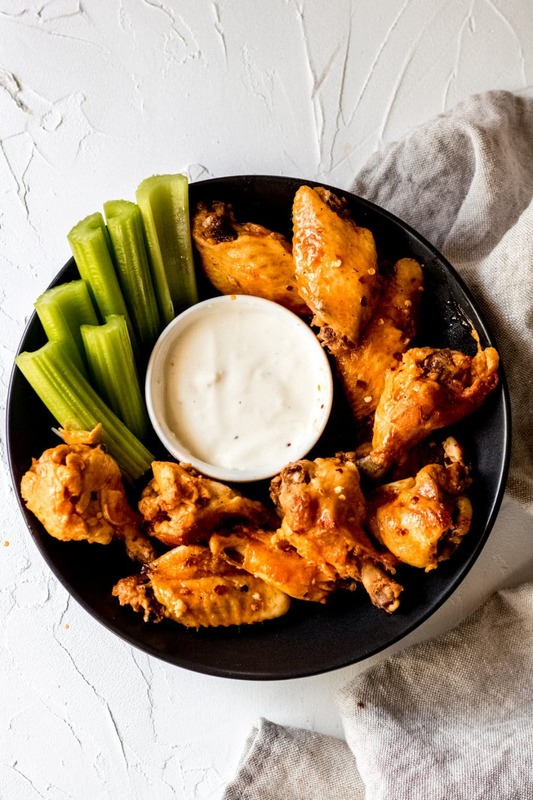 You should only reheat the chicken wings once, and you can reheat them by throwing back into the oven on a baking sheet under the broiler for about 5 minutes or in your air fryer for about 5-10 minutes – this will help keep the wings crispy. Can I freeze cooked chicken wings? Yes, however, remember to only reheat them once. To freeze your cooked chicken wings, place them into a freezer safe container or bag and freeze for up to 3 months. To reheat – let the wings thaw and then bake them for 20-25 minutes in the oven at 375 degrees F. or in the air fryer for 15-20 minutes at 375 degrees F.
Enjoy these other crock pot recipes! 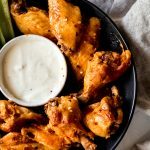 An easy crock pot chicken wings recipe that gives you tender, juicy wings with a crispy skin on the outside. Add the fresh (or thawed) chicken wings and drummettes to the crock pot and season with salt and pepper. Pour the sauce over the wings, then add the red pepper flakes, and stick of butter. Cook on low for 6 hours or on high for 3-4 hours – stirring a few times as they cook. When finished cooking, remove from oven and place onto a baking sheet. Pour about 1 – 1 1/2 cups of the sauce from the crock pot over the wings on the baking sheet. Place into the oven under the broiler and broil for 10 minutes – checking every 3-4 minutes and using a basting brush, basting the wings every time with the sauce from the pan. Once the wings have reached 165 degrees F. internal temperature, and the skin is crispy with the sauce looking ‘charred’ just a bit, remove from oven and serve immediately. Serve wings with your choice of garnishment – fresh carrots, celery, and a dipping sauce of choice. 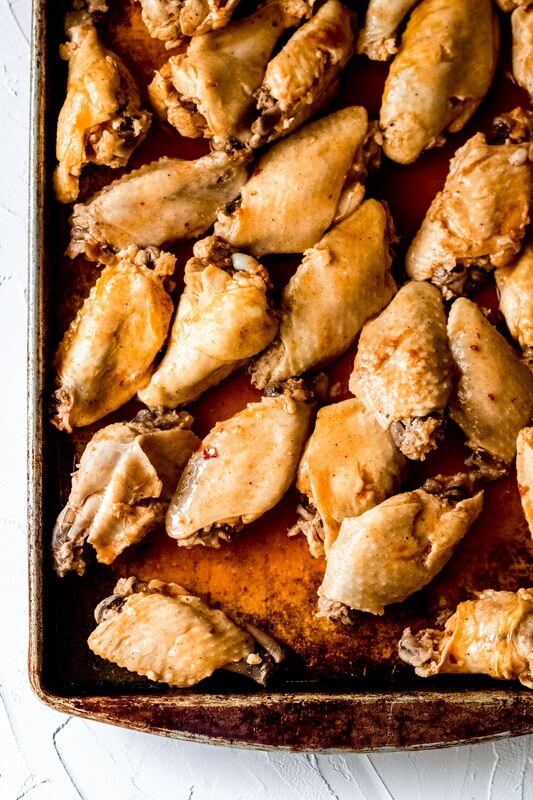 If your oven does not have a broil setting you can simply bake at 450 degrees for 10 minutes or until the wings crisp up a bit. If you’re using frozen wings, be sure to fully thaw before cooking.